GLAND, Switzerland, June 12, 2011 (ENS) – The Mozambique government Friday declared Lake Niassa to be a reserve, safeguarding the species and natural habitats of one of the world’s largest and the most biodiverse lakes. Mozambique also Friday approved the protection of Lake Niassa under the Convention on Wetlands of International Importance, known as the Ramsar Convention. The Ramsar site includes the new reserve as well as the surrounding wetlands and watershed. This unique ecosystem holds the world’s only surviving freshwater corals; over 1,000 species of fish, 700 of which are endemic to the lake; and a wealth of bird life, including ospreys, palm nut vultures, owls and eagles. The lake lies along flyways for birds that use the lake margins as staging areas as they migrate between Africa and Europe. The lake supports threatened populations of leopards, sable antelope, and elephants as well. 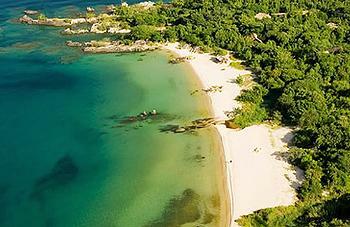 Located in northern Mozambique, Lake Niassa is part of Africa’s third largest lake. The other two parts are in Malawi, where the lake is known as Lake Malawi, and in Tanzania, where it is called Lake Nyasa. This southernmost lake in the Great Rift Valley system of East Africa is the eighth largest lake in the world and the second deepest lake in Africa. Vast plains extend to the south of the lake and steep sided mountains rise to the north. As it is about 52 miles wide and 365 miles long from north to south it is also known as The Calendar Lake. The lake’s tropical waters and shores are inhabited by an estimated 1,000 species of cichlids. These fishes, of a wide variety of sizes and colors, share one key trait – fusion of the lower bones of the pharynx into a single tooth-bearing structure. 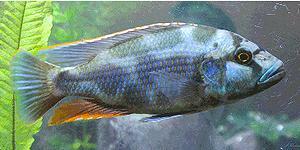 The vast majority of the world’s cichlid species are endemic to Lake Niassa and found nowhere else on Earth. New species are continually being discovered in the lake. 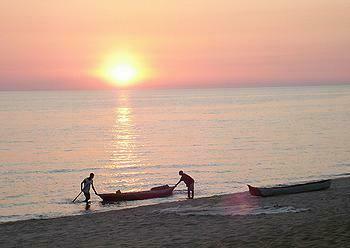 While Lake Niassa is facing threats from overexploitation, it supports the surrounding population, enabling fishing, agriculture, animal rearing, hunting, trade and handicrafts. To reconcile the needs of the people with the need to protect natural resources, village level mechanisms for monitoring illegal and overfishing, erosion and deforestation, managing fisheries, and mitigating the impacts of climate change have been developed. Zones were created that will allow for total protection of species in some areas, seasonal protection in others, depending on spawning times, and dedicated artisanal fishing areas. Local communities were instrumental in achieving success by making several concessions in order to protect their main source of food and income by agreeing to the closure of all fishing rivers during the annual spawning runs for lake salmon and other species, and the total protection of spawning beds during breeding season. They created a team of community rangers responsible to district administration and cooperating with the Mozambique Navy to enforce existing laws surrounding illegal fishing, timber cutting, illegal migration, mining and piracy. These management strategies and agreements were reached through collaboration of the Mozambique ministries of Tourism, Fisheries, Environment and Defense with the Niassa provincial government, and with the U.S. Agency for International Development, the Coca-Cola Company and the global conservation organization WWF. “Protecting Lake Niassa will have an immediate and lasting impact on the health of the fisheries located within it, providing security to the people who depend on the lake for their food and livelihoods,” said Rubina Haroon, who represents WWF’s Eastern and Southern Africa Regional Programme Office. 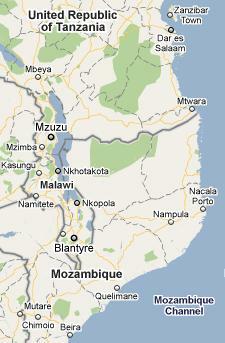 The new reserve is the first freshwater lake under protection in Mozambique. It covers an area of 47,800 hectares adjoined by a buffer zone of another 89,300 hectares. The reserve will be managed by the Ministry of Fisheries with support from the Ministry of Tourism and Ministry for Coordination of Environmental Affairs. Protection of this ecosystem enables plans to develop the tourism industry in northern Mozambique by appealing to travelers interested in diving, bird watching, game fishing and adventure trails. The Ministry of Defense will help with enforcement and security. Declaration of the reserve fulfils the government’s commitment to protect 10 percent of lake holdings and is in addition to the 17 percent of terrestrial land holdings that are currently protected by the government.